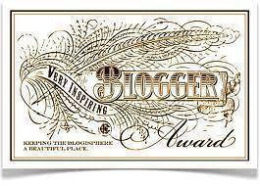 I was completely flattered when I received a message from Lyrical Sphere saying she had nominated me for the Very Inspiring Blogger Award. I didn’t know about this award until her nomination and was pleasantly surprised that I could have this impact on another person. I blog because I want to share my passion for food and fitness, to hold myself accountable, and to use it as sort of an open journal, never really expecting to impact anyone else. So thank you, from the bottom of my heart, Lyrical Sphere, for this nomination. Nominate 10 other amazing blogs and comment on their posts to let them know they have been nominated. I love to bake, but I rarely cook. My husband (Joe) does the cooking for our nighttime meals; I merely prep. For as long as I can remember working out has been my escape. My other passion is traveling. In fact, my dream is to be a traveling food and fitness writer. I grew up on the south shore of Lake Superior in a small town. I couldn’t image not living next to some sort of body of water. When I travel to new places I photograph almost every meal and countless signs. Food is a passion of mine and I love to document how other cultures create and present amazing dishes. I also love old signs with faded colors and old-time fonts. This entry was posted in Fitness, Food, Life and tagged athlete, award, bloggers, blogging, fitness, food, life, Very Inspiring Blogger Award by ironwomandiaries. Bookmark the permalink.